Here we take a look at odds matching, find out what it is all about and see how you can benefit from some of the best odds matching products around. Odds Matching is the process of finding a close match between the odds at a bookmaker and the odds at a betting exchange like Betfair for a specific sporting event. It is generally used in the practice of matched betting, which is where you make money risk-free out of the bookies’ offers and free bets. In order to maximise the amount of money you make out of the bookies’ offers, you want the odds you back their bets with to be as close to the exchange odds as possible. There is software available now that analyses the odds in seconds and finds the best bets automatically, which is very useful. Before we look at the software that is available, let’s take a look first at what matched betting is and why you might want to take advantage of it – if you aren’t doing so already. What is Matched Betting – and should I be doing it? Matched betting is about taking the many offers that are presented by the bookies these days and using them to make money risk-free. Unfortunately, the vast majority of the free bets and special offers bookies give away now come with a catch – they are not genuine “free bets” in the true sense of the term. You normally have to wager a certain amount before you qualify for the free bet – and in some cases before you are able to withdraw the winnings of your free free bet as well. But fear not, some very clever people worked out that you could use the betting exchanges so that you can make these free bets risk-free. You don’t quite make the full value of the free bet – normally about 80% – but it’s a lot better than losing your money. So if you have a £50 free bet, using matched betting you can normally extract around £40 risk-free. And with literally hundreds of offers out there, some people have turned matched betting into pretty much a full-time profession, making £20,000 – £30,000 per year. How do I start doing Matched Betting? If you haven’t done any matched betting before, there are some great products out there that bring together all of the offers, explain how they work, provide support and even have communities where you can chat to other matched bettors and learn from each other’s experiences. If you are starting off, then it is probably best to go for Bonus Bagging. Then you can progress to Profit Maximiser, which allows you to make £300-£500 per month risk-free. Why would you want Odds Matching Software? Once you have done a bit of matched betting, you will realise that it can take quite a bit of time to compare the odds of your free bet with the bookmaker and the exchanges. You want to find the best opportunity to maximise how much you make off each offer. Sometimes there are big differences between the bookies’ odds (who can be stingey at times) and the exchanges. It can take a long time to find the best offers as well, going back and forth checking various markets. What Odds-Matching Software do you recommend? 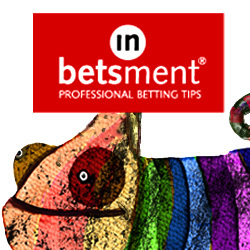 There are two good pieces of odds matching software we have found and would recommend. One is Mike Cruickhsank’s Matched Betting Software, which we have done a full review of here. It has amazing software and a whole range of features to it. The good news is that you can now get a 30 day trial of it for just £1 by clicking here. The other product we would recommend is called Odds Monkey, which has similar features to the Matched Betting Software. We have done a full review of it here. What comes with the Matched Betting Software? The Matched Betting Software has a range of very useful features including the main odds matching tool, which you can set to find the best offers of the day, for a particular sport, bookie or event. You have other features such as a calculator to work out exactly how much you need to put on each bet, links that take you straight through to the relevant market on the bookie or exchange’s website. Plus there is a dutching tool, for placing dutching bets that involve two bookies and no betting exchange. In addition, there is a special tool for Channel 4 horseracing, which is very useful for those offers on races shown on Channel 4. All in all, with this software you will quickly wonder how you ever did without it. Odds matching is the process of finding a close match between the bookies’ odds and those of the betting exchanges (like Betfair) so that you can maximise your income from free bet and special offers. It has been made much easier by Odds Matching Software, which we highly recommend if you are serious about doing matched betting and making a tax-free second income.